Downtime, output, rejection rate. All available at any time. In your pocket. It sounds a bit like science fiction, being able to see what’s happening in a factory instantly. But it really isn’t. The time has finally come when no matter where you are on the shop floor, or in the world, you can keep an eye on what your manufacturing facility is doing. The Texas facility that mass-produces State Fair corn dogs and Jimmy Dean Pancakes & Sausage on a Stick retooled itself recently as a hyper-automated smart factory. It installed 1,500 sensors to collect gigabytes of data on everything from raw meat inventories to wastewater and electrical usage. Then the Fort Worth factory took one extra step into the future of industrial technology: It added software that transmits all of that real-time data onto smartphones and tablets, making it possible for plant managers to monitor their production network from anywhere on the factory floor — and during coffee breaks or vacations, as well. An alert is triggered with every dip in peak efficiency — at the Fort Worth plant, that equals a capacity of 120 million pounds of breaded hot dogs or pancake-wrapped sausages-on-a-stick a year. Previously, a conveyor belt malfunction in packaging could lead to production downtime and losses of perishable food in the fryers. The mobile plant manager, however, can troubleshoot delays instantly from his smartphone and coordinate with all the other factory operations, Riechert said — minimizing or preventing any loss in production. “The interaction level on the phone is seconds,” said Kyle Reissner, an engineer who leads mobile application development for Rockwell, the $6.6 billion-a-year global technology company based in Milwaukee. Water systems are primed for industrial automation because their sensors monitor quality, pumping, sedimentation, filtration and disinfection, GE said. They also don’t have large teams of staff on hand. The one area where factory managers and Rockwell’s application developers haven’t chosen to go is in being able to start and stop machines remotely. No adopters appear willing to operate equipment remotely, such as starting up a conveyor line. “We have a lot of equipment that can hurt people, and someone might have their hand in a dangerous place,” Riechert said. Having factory data in your hand, whenever you want it is considered to be the next step in factory automation. Rockwell has made it happen today, and they’re making it better with every release of their FactoryTalk VantagePoint app. 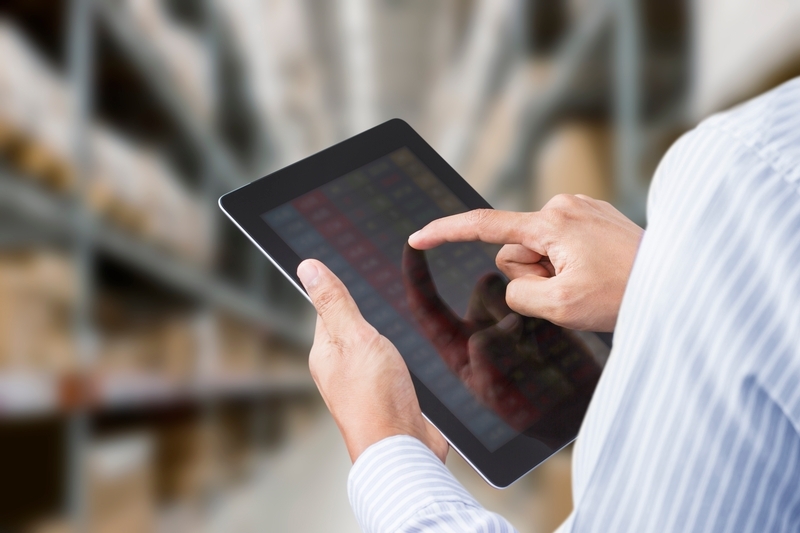 Production managers can sleep easy knowing that they have the data they need to be proactive and prepared for anything that the manufacturing process can throw at them. Read more about Rockwell’s app in John Schmid’s article at the Journal Sentinel.